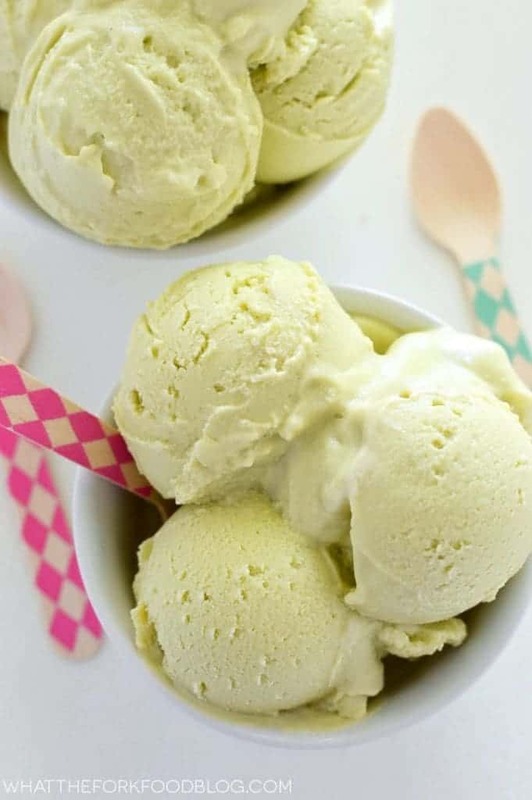 This vegan avocado ice cream is a deliciously sweet way to eat your super-fruit. It’s so creamy and the perfect healthier treat for when you’re craving ice cream but don’t want all the extra guilt. I’ve been meaning to make this vegan avocado ice cream ever since I went to Atlanta to attend Fresh Summit. There, I met a ton of great people in the produce industry and I sampled the best of the best foods made with the finest fresh produce. Avocados from Mexico was handing out samples of Avocado Ice Cream and I’ve been itching to make my own ever since. I had already recreated the Chocolate Avocado Truffles that I had there so this was next on my list. I actually made this right before I started Whole30 in April so I only had a little before I wasn’t allowed to eat it anymore – I regretted my timing on that big time! But this vegan avocado ice cream is so good, it’s totally worth making again and again. Remember when I made a dairy free coffee creamer and said it tasted just like melted ice cream? That concept became the base of this ice cream and it’s what sets it apart from other non-dairy ice creams. I use a can of sweetened condensed coconut milk to sweeten the ice cream instead of using honey or maple syrup. It’s not a paleo version but I think it helps with the texture better. Plus, it’s sweet and has a glorious coco-nutty flavor that I’m hopelessly addicted to. If you guys have never gone sweet with your avocados, you need to asap. They’ve got a naturally fruity taste that pairs so well with sweet flavors, just like other fruits. Avocados are great with chocolate (like in my truffles), in brownies, as pudding, and even in cake. I’m thinking a chocolate avocado ice cream will have to be next or maybe even a chocolate avocado cake. 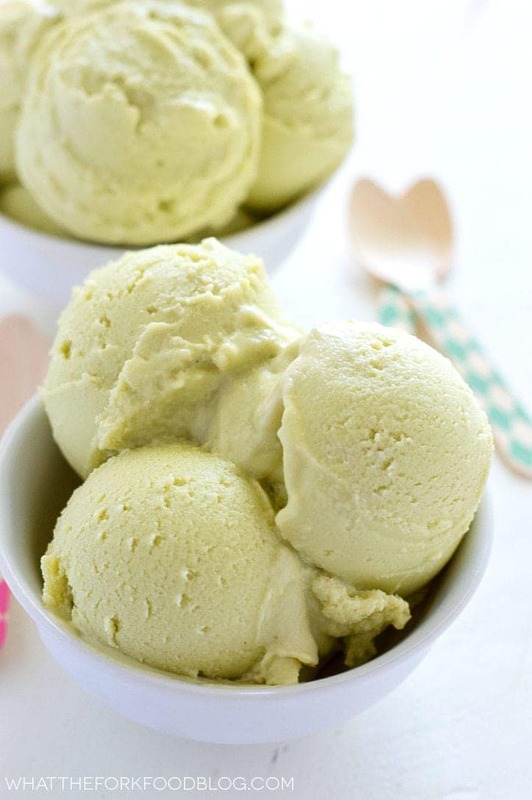 If you guys are fans of avocado, you’re going to freak over this ice cream. If you’re not avocado fans, I’m betting you’ll like it too. If you’re looking for some more vegan ice cream ideas, my friend Demeter at Beaming Baker has got you covered! She’s got so many great ice creams but I’m really loving this Coconut Chocolate Chip Vegan Ice Cream. Her version is even Paleo! Enjoy! 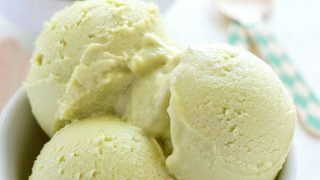 This vegan avocado ice cream is a healthier and satisfying way to beat the summer heat. So creamy and delicious! Pour the mixture into a 2 quart ice cream maker and freeze according to your ice cream maker directions. Enjoy immediately or freeze until solid. *I used So Delicious Culinary Coconutmilk, which are 11 oz but are formulated to replace a 13.5 oz or 14 oz cans of coconut milk. I use this Cuisinart Ice Cream Maker and ♥ it. 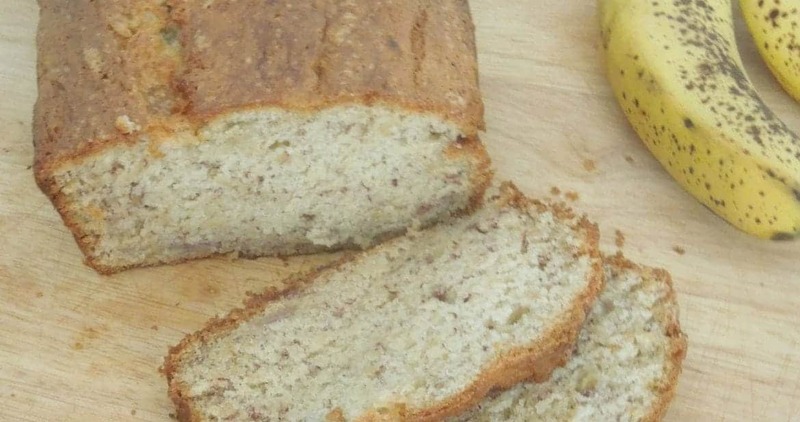 This post contains affiliate links for ingredients and equipment used to make this recipe. Ooooooh I can’t wait to try this Sharon! Such a perfect summer treat! Ok ok … You’ve convinced me! I need to get an ice cream maker!!!!! Can’t wait to try thus! Avocado ice cream really is the best. It’s amazing how creamy the texture is! 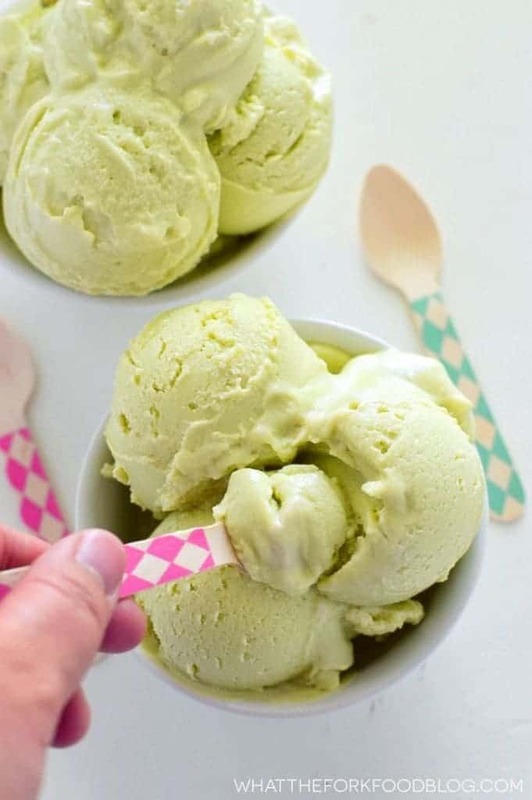 I’ve never had avocado ice cream but I’m sure it’s super creamy! This looks and sounds awesome! And how is it that I’ve never heard of coconut condensed milk??? I can tell you, I’m making this immediately! I love avocado + coconut! 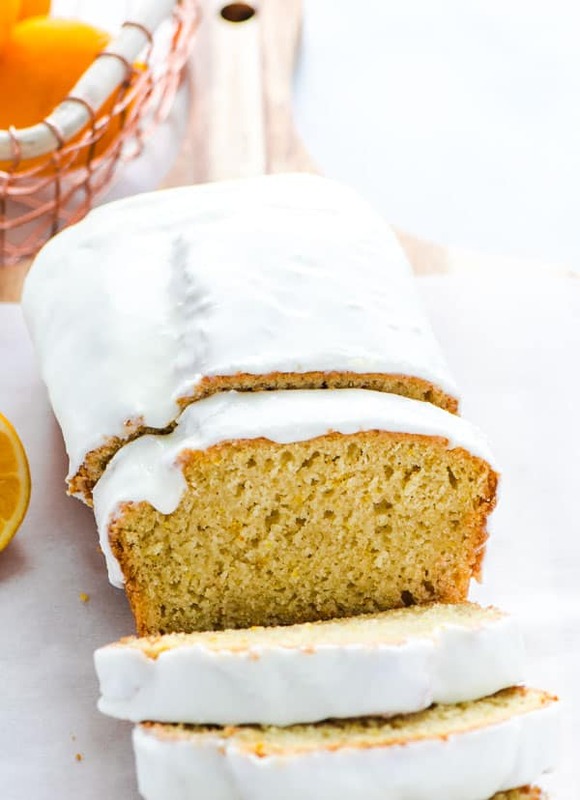 That looks so wonderfully creamy and easy to make too! This ice cream looks amazing! 🙂 I love using avocado in desserts. 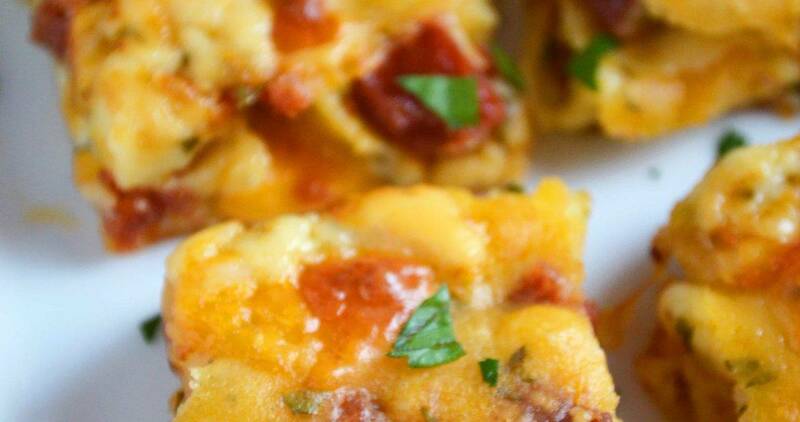 I am totally making this tonight! 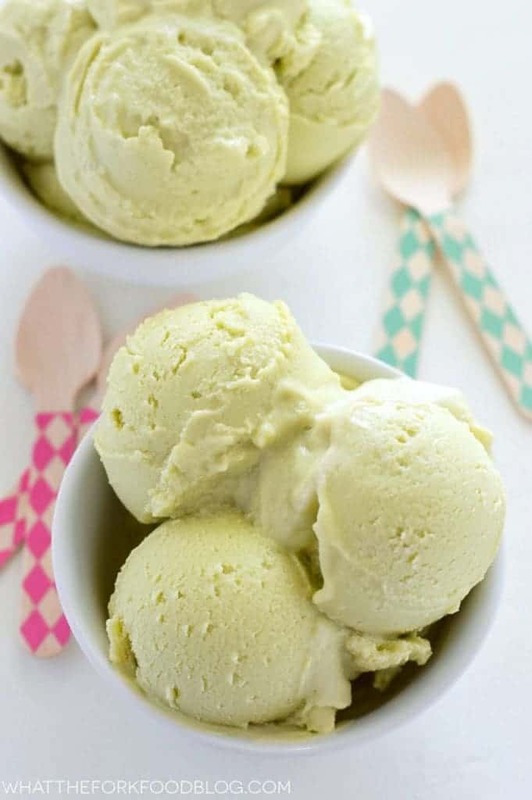 I love the idea of putting avocado in ice cream — makes it even creamier!! This ice cream is magical!! Truly. The addition of avocado is genius! I so wish I could have avocado because this looks soooo yummy! You are a super genius! It makes total sense to use avocado! Can’t wait to try!